“In my daydreams, I float,” sings Sarah Elizabeth Charles at the outset of “Free of Form,” the lead single and title track of her next album, which is due out on Oct. 6. She sounds wistful and centered but not entirely at peace, as if acutely aware that floating is a luxury she can’t always afford. (On the album, the following track is “March to Revolution Part II.” A bit later on she offers “The Struggle.”) Charles is a singer-songwriter who shrewdly bends the jazz language toward soulful expression, with a fusionesque band she calls SCOPE. On “Free of Form” she moves adroitly over the surface tension of the music, with its flickering breakbeats and droning synths. The trumpet solo, clarion in tone and temperament, is by Christian Scott aTunde Adjuah, who produced the album with Charles, and will be releasing it on his new Stretch Music label, through Ropeadope. 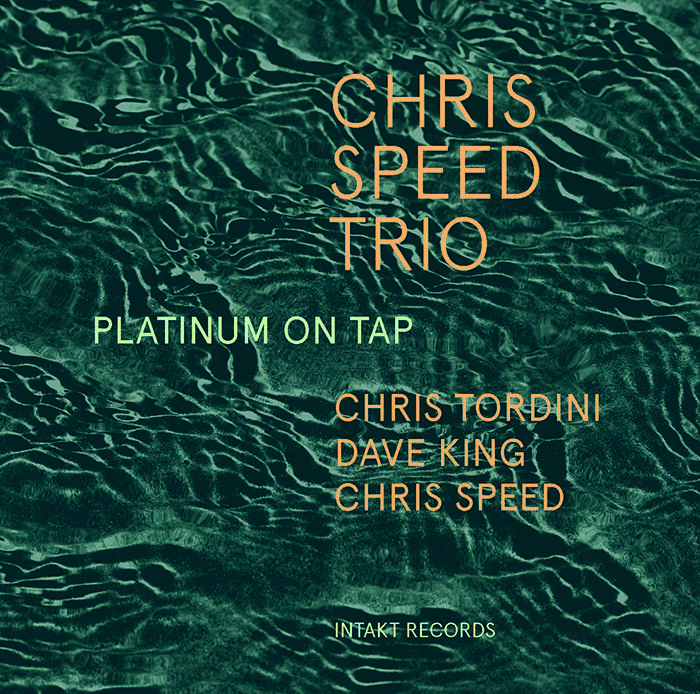 The Chris Speed Trio — a coolheaded yet combustible unit with Speed on tenor saxophone, Chris Tordini on bass and Dave King on drums — released its first album, Really OK, on Skirl Records a few years ago. The group has strengthened its stride since: a superior follow-up, which could have been called “Really, Really OK” but instead bears the title Platinum on Tap, is due out this Friday on Intakt. Speed’s sound on tenor has always been distinctive, rough but unblustery, with a trebly warble that can make it seem as if you’re hearing him over a telephone line. But that isn’t to imply a disconnect from the tenor saxophone tradition in jazz: there are moments on this album when he marshals his rhythm team just as Sonny Rollins famously did 60 years ago. 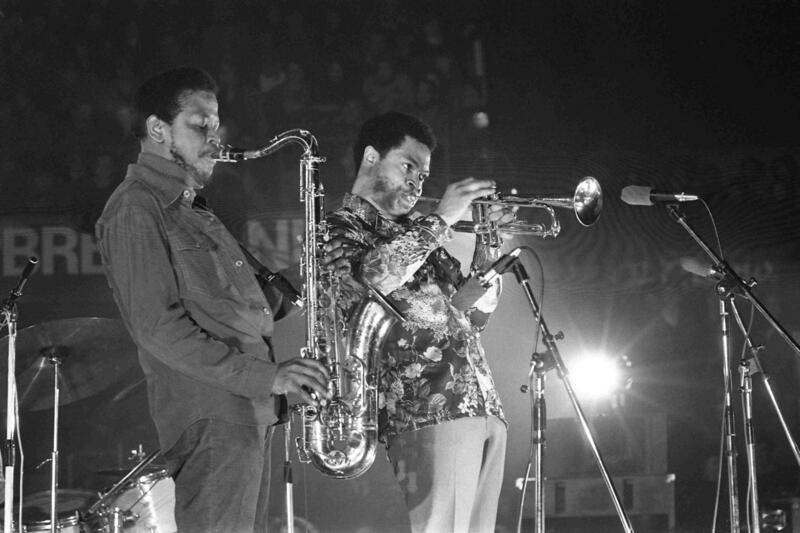 The album includes a version of “Stardust” and a valedictory take on Albert Ayler’s “Spirits.” But listen here to “Arrival High,” which moves in a bob-and-weave polyrhythm, with an intrepid tenor solo. The alto saxophonist David Binney is better than almost anyone at bringing the rampaging heat of jazz-rock into dialogue with the deft prerogatives of post-bop. And there’s no better evidence for the case than his gigs at the 55 Bar, which used to be a more regular occurrence. Here, then, is a gift: raw audio, recorded with an iPhone, from a gig just last week. The personnel is, to use a technical term, completely bonkers: Chris Potter on tenor saxophone, Adam Rogers on guitar, Chris Morrissey on bass and not one but three genius-level drummers: Antonio Sánchez, Dan Weiss and Nate Wood. They’re playing “Aliso,” the title track of an album Binney released in 2010. Back then, it didn’t sound like this. If you know Jon Cowherd, you probably know him as coleader and pianist of the Brian Blade Fellowship, which released its self-titled debut 20 years ago. Cowherd’s new album, Gateway, adheres to roughly the same contour: along with Blade on drums, it features an adaptable guitarist, Steve Cardenas, and a rock-solid bassist, Tony Scherr. You’ll want to check out “Bronco Braun,” a groove tune in soft focus, with a few flourishes that point toward the old Pat Metheny Group. Because the album is out on the vinyl-only subscription label Newvelle, this serves as a rare taste, and perhaps an inducement to enroll.